Tagline- Judge. Jury. Executioner. All in a Day’s Work. 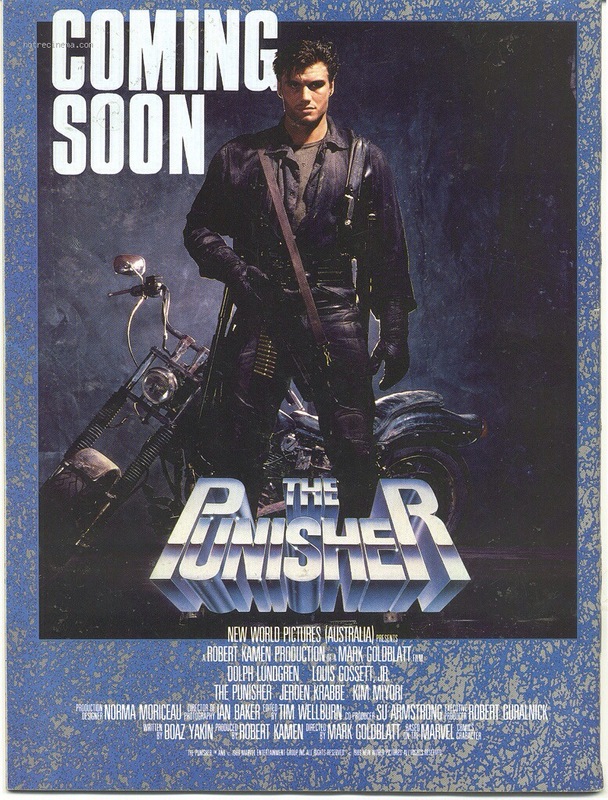 The Punisher was released theatrically in 1989 in certain countries, but didn’t get a US release until April 25th, 1991 where it went DTV, which was the same fate as the Captain America movie, which like the Punisher had a theatrical release outside the States, but when released in the US went DTV. I’ve mentioned in other reviews that comic themed productions have always been around. The 30s and 40s had Batman and Superman serials, the 60s had the Batman TV show the 70s had the Hulk and short lived Spider-Man. Most productions through the 80s and even the 90s were animated shows. Superman: The Movie, which was released in 1978 was a big success and became a film franchise, but yet film wise there wasn’t much there until Batman in 1989. Though even than it really wasn’t until the 2000s that films based on comic characters became a big time business. The Punisher however has never really been able to find success. This film didn’t do much and while the 2004 version did well it also wasn’t nearly as successful as other comic themed films, but did enough business for a sequel, which never happened and instead another reboot, which failed theatrically. When it comes to these style of films the big 3 characters are Spider-Man, Batman and Superman. However the Punisher comic is long running and that can only happen due to popularity, but yet none of the films made have been a big success and I just can’t see the Fantastic Four being that much more popular as box office wise it was a far bigger hit than any of the Punisher films. I was never an avid comic reader, but from time to time I will pick some up and I’ve always been intrigued by the Punisher also known as Frank Castle. He has no superpowers and is just a regular guy out on a crusade for justice and while most superhero films the characters are actually vigilante’s, the Punisher films are more what I look for in that style of film I guess the Death Wish style though not to compare the two since they are also quite different. 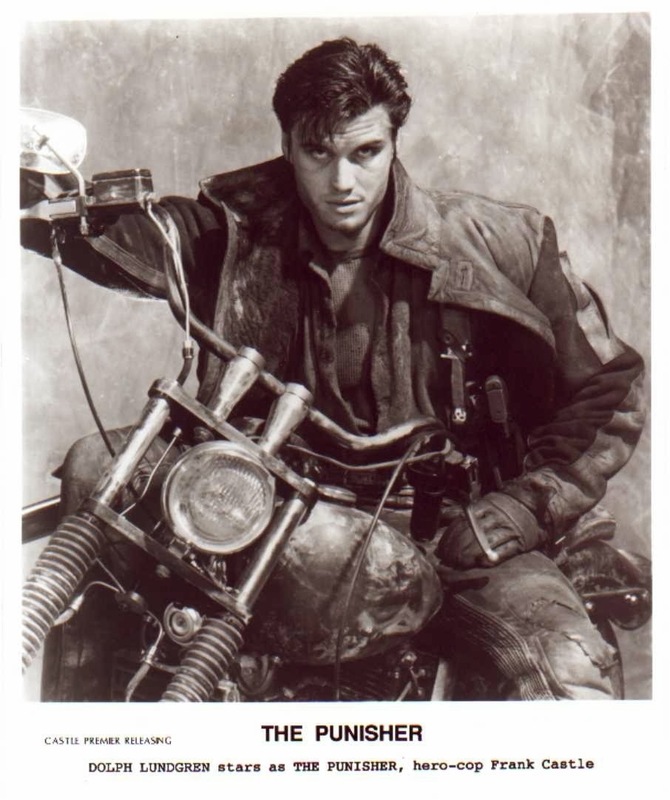 But the Punisher films (at least this one) is closer to that style than say Batman. After the death of his family former cop Frank Castle (Lundgren) also believed to have been killed becomes the Punisher a vigilante hellbent on taking down all crime syndicates. The screenplay by Boaz Yakin is simply average at best and while there was potential its never fully realized. The plot is fair enough, but Yakin never really elevates it. While we do get into Frank Castle’s backstory in my opinion it does sort of lack the emotional impact needed. It was brief and showed in flashbacks as it was also in Punisher: War Zone and while the origin didn’t work great in that film it flowed a bit better. I don’t think Castle really needed an origin tale, but I just felt as if a little more could have been done. The rest of the characters while decent never really make a huge impact. The script wasn’t bad and had the right ideas, but something just wasn’t fully working. Director Mark Goldblatt got his start as an editor on the Roger Corman production of Piranha and followed that up with such films as Humanoids from the Deep (also Corman) as well as Halloween II, Terminator, Enter the Ninja and Rambo: First Blood Part II. After the Punisher he would still continue to edit, again working with Cameron on such films as Terminator 2 and True Lies. 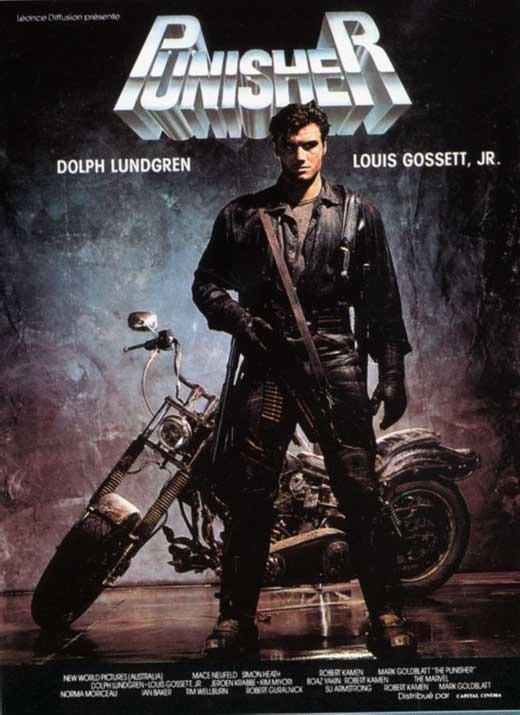 Goldblatt made his directorial debut with the film Dead Heat in 1988 and the Punisher was his 2nd and last film. Goldblatt never really establishes much of a tone and the production values do look a bit cheap. The pace of the film can be a little sluggish in spots as the film does lack energy and excitement often found in action films also Goldblatt plays it straight with little to no camp value. However the action sequences are solid and fun and Goldblatt’s experience in the action genre does show. While the action scenes aren’t the best I’ve seen they’re effective, but it’s just everything else that sort of leaks. While not poorly made it just suffers from weak production values and when the film is focused more on the story, the Punisher lacks excitement. 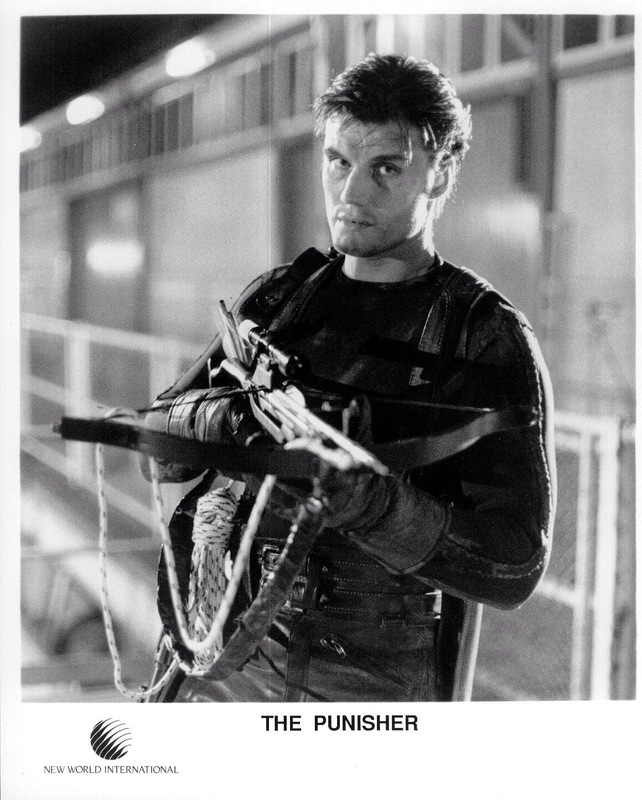 Dolph Lundgren while had success in the 80s and early part of the 90s never made it as big as he should have. Films such as I Come in Peace and Showdown in Little Tokyo were terrific and Lundgren has such a great screen presence. With limited dialogue in Rocky IV he was quite imposing and that’s why he made such a great action star. 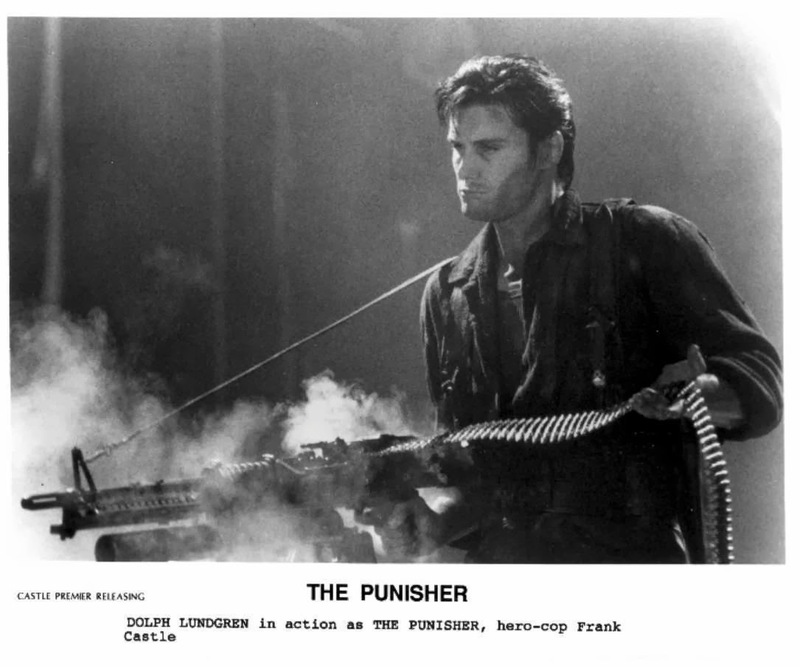 In my opinion this version of the Punisher is the weakest, but Lundgren is terrific if only he had better material. Of all 3 actors to portray Frank Castle from simply an acting side of things I’d have to go with Tom Jane who was excellent, but Dolph Lundgren and Ray Stevenson are more of the traditional action stars. I’m not sure if I can pick a favorite though if I had to pick I might slightly favor Ray Stevenson, but Lundgren, Jane and Stevenson are very evenly matched and each has their strong points and a case can be made for any of them. The rest of the cast with the exception of Louis Gossett Jr who like Lundgren is terrific, but the actors while not bad are a little on the boring side with their performances. Overall the Punisher is an average film that suffers when there isn’t any action scenes as the writing and directing aren’t strong enough. When there is action it is quite exciting, which does salvage the film and Dolph Lundgren does almost all of his own stunts, which helps make the film more authentic. I did enjoy this film, but throughout I couldn’t help but think how much more this could have been. 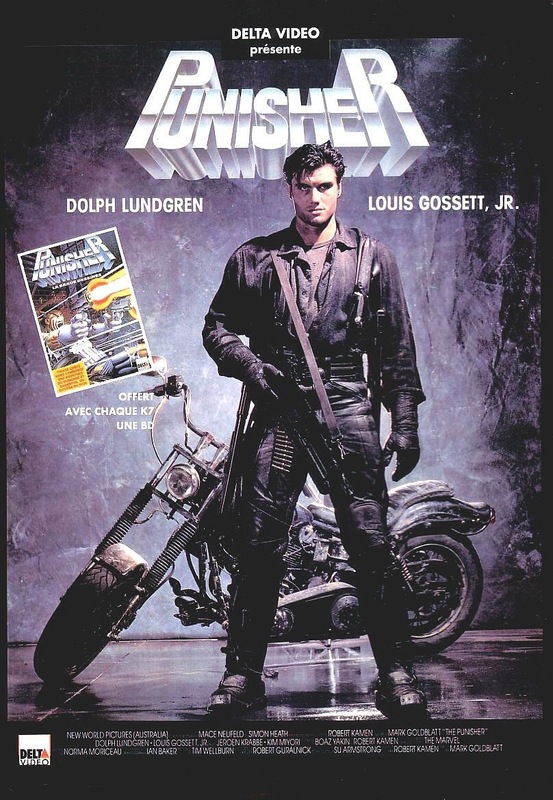 Lundgren’s great presence also helps the film and while its far from the worst comic adaption I’d place it more middle of the road.